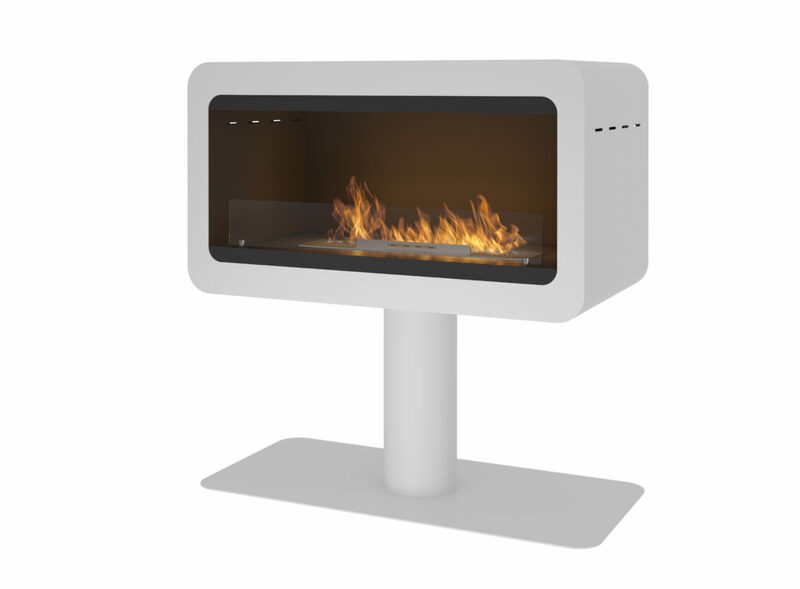 INECCO model is a modern, stand-alone fireplace. 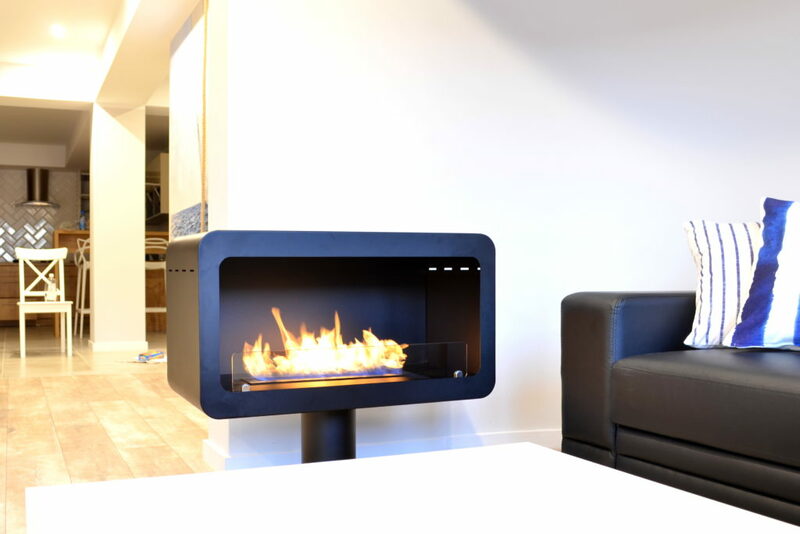 Its unique form perfectly fits modern interiors and fills them with a beautiful fire and warmth. 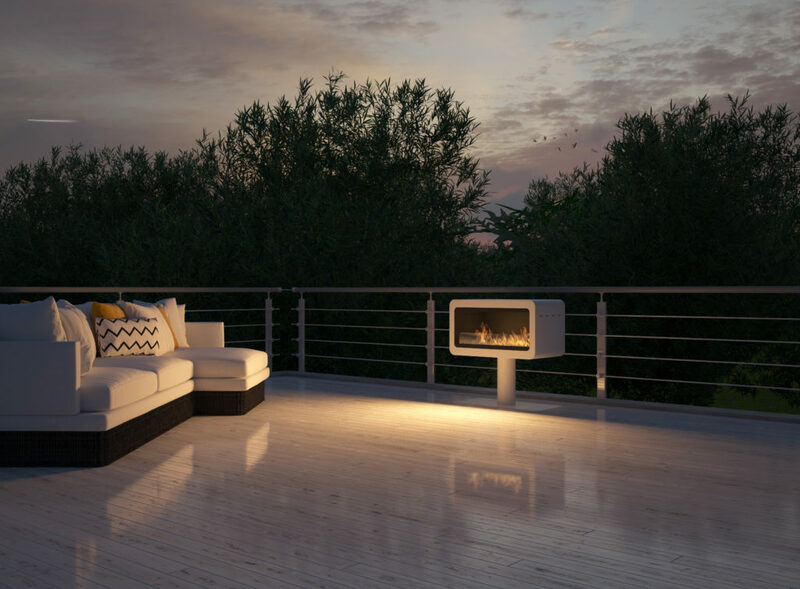 The fireplace may also be a perfect decorative element outside, e.g. on a terrace. 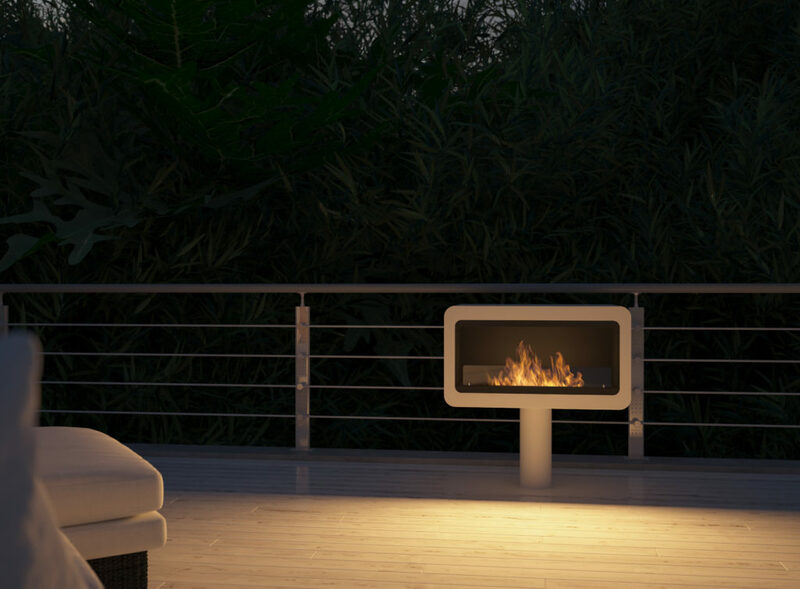 The fireplace is equipped with a built-in insulation on the frame and bleeders which give out warmth into the room. The toughened pane increases the safety and stabilizes the line of fire.